Charts are used as part of a business object model. If you are wondering, what is a business plan model, this article will answer that question and provide information about when this particular model is used. Infrastructure: The basic parts of the business; it includes Sales, Customer Service, Accounting, Human Resources, etc. Products or Services: What products or services does the company sell or provide? Customers: Who are the company's customers? What specific markets are they targeting? Finances: Includes budget planning and strategies for generating income and controlling cost associated with running the business. A business-use case model is used to describe the processes that businesses use. They show a series of actions or business workflow. Another way to think about a business-use case model is it shows what the business does to provide a product or a service to its customers. The sequence of events/workflow can be expressed in the form of a diagram or a flow chart for ease of comprehension. In contrast to a business-use case model (which shows what a business does), the business object model is used to indicate how the business is run. It contains detailed diagrams that indicate how employees and management work together to attain the goals of the business. Other diagrams used in a business object model indicate the duties of each member of the business team and show how their activities, when performed together, help the business to be a success. 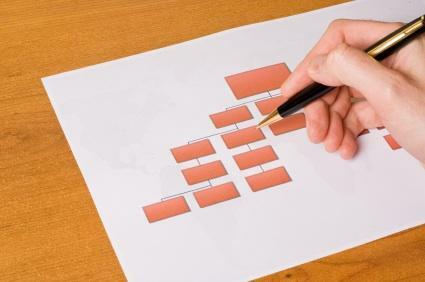 A business sequence diagram is used to demonstrate the sequence of events that takes place when business employees interact with each other or when clients and customers interact with staff members. The goal is to take a transaction and break it down into separate components. Customer places the merchandise on the counter. Salesperson asks whether the customer found everything they wanted. If the customer indicates that they have everything they need, the salesperson scans or rings in the cost of each item. Salesperson tells the customer what the total amount of their purchase is and asks the customer what method of payment they want to use. Customer indicates the method of payment. Salesperson takes the customer's cash or swipes the customer's credit or debit card. Salesperson either has the customer key in their PIN (personal identification number) for a debit transaction or prints off a credit card slip for the customer's signature. The purchase is bagged or has a sticker placed on it indicating it has been paid for. Salesperson thanks the customer for their purchase. This is a very simple example designed to answer the question of what is a business object model. In business, it's not enough to determine what goals the business wants to achieve; a process or detailed set of instructions needs to be developed and implemented for each task the workers will perform as part of their duties. The business object model can be used to develop training materials for new employees, who need to understand exactly how they should perform their duties. The model can also be used to analyze the procedures in place to determine whether they are effective or need to be changed to increase efficiency or generate a higher level of revenue for the business.